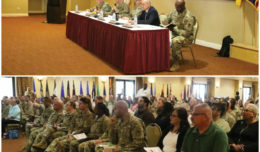 Although the number of Army accidental fatalities has steadily declined over the past several years, Soldiers are still injuring themselves in preventable accidents. 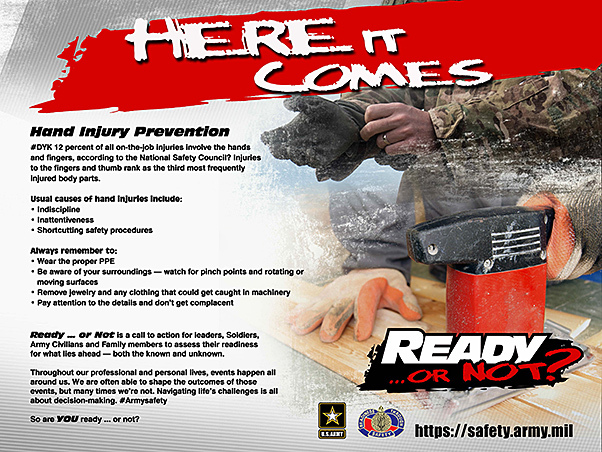 Ever heard the saying, “Be sure to use the right tool for the right job?” That’s sound advice in the Army since most military occupational specialties rely heavily on equipment maintainers and their tools. What many may not realize are these mishaps not only cost the Army valuable resources, but impact readiness as well. Shepherd explained how. He once witnessed a Soldier put a sanding disc — with a maximum rating of 6,000 rpm — on a grinder that rotated at 10,000 rpm. 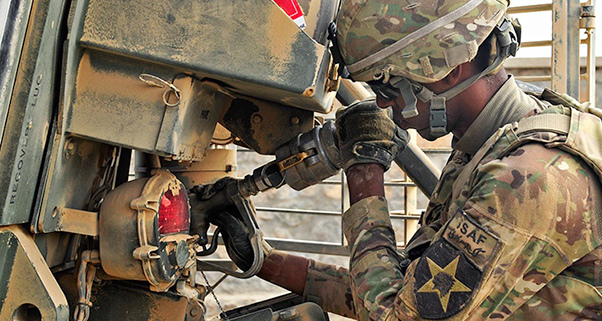 Stanley Callender, equipment specialist, logistic assistance representative, U.S. Army Tank-Automotive and Armaments Command and a retired sergeant first class, has seen his fair share of injuries during his Army career. Shepherd added that the recent invention of mechanics gloves has made hand slipping less of a problem, but not everyone has or uses them. There are specific guidelines for maintainers to follow. For Shepherd, a class he received as a new Soldier back in 1996 helped shape his maintenance-conscience mindset throughout his career. Technical Manual 9-243, Use and Care of Hand Tools and Measuring Tools, explains the types and uses of a variety of tools including practical application of a selected group of tools, safety requirements, general care and limited repair. While the responsibility of safety starts with an individual, battle buddies play an integral role and often have an opportunity to speak up when they see something that doesn’t look quite right. Some individuals believe shortcuts get a job done quicker. 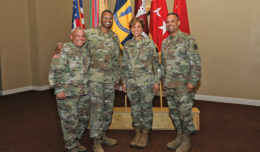 But, Shepherd cautions that when Soldiers take shortcuts, they are elevating the desire to complete the job above the necessary safety protocols and are putting themselves and others at risk. 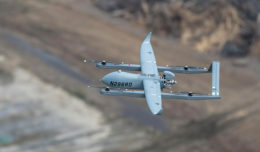 “We all want to complete the job fast for one reason or another … trying to get home on time, attempting to return the vehicle to operation, fatigue, etc.,” he said. “All of the reasons to rush a job are temporary, but an injury or even loss of life can have lasting affects.